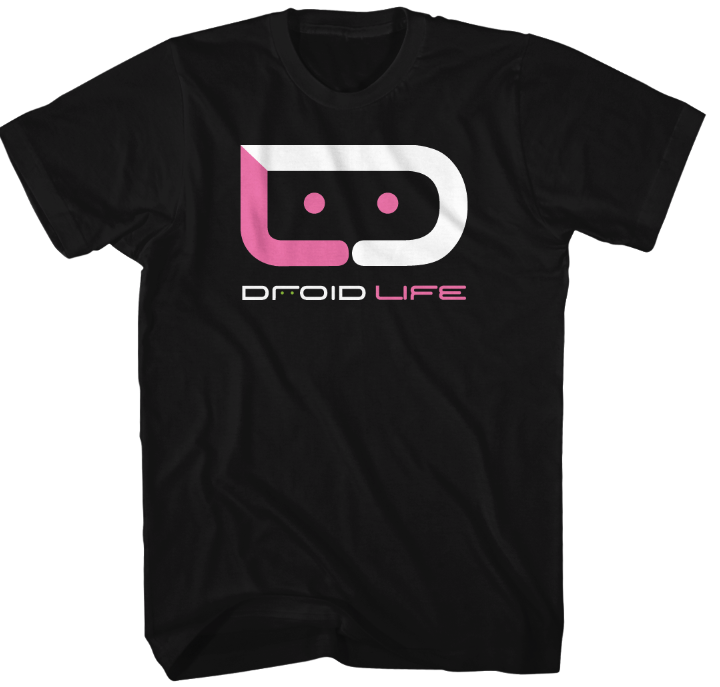 You are staring at the newest limited edition Droid Life t-shirt, from our fine friends behind the Exploded Andy series of shirts. In the past, we’ve gone with cartoonish Bugdroid designs, confusing art pieces that included bears, and even took inspiration from classic t-shirts. This time, though, we’re keeping it simple. We have never done a shirt with the DL logo front and center, so that’s what we’re doing. Update: We’ve got hoodies now too! Thanks to enough requests, we’ve added a link below. For those comfortable in their own skin, we have the black tee with our classic pink and white logo. For those not ready to go pink-in-public, we also have a black tee with Android green and white logo. Again, it’s simple, but never before have we given you the DL logo like this on a shirt. As always, the t-shirts are 100% cotton American Apparel. For those not familiar, American Apparel cotton is some of the finest in the business. They are extremely soft and hold their size through multiple washes, very well. Men’s size Small-2XL. Women’s sizes, men’s 3X, and hoodies ($25) available upon request. Contact Dion at dionbriggs[at]gmail[dot]com for those. LG Blames "High Demand" For Shortage of Nexus 4, Doesn't That Justify a "Duh?"